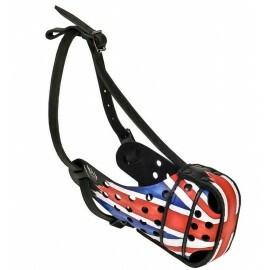 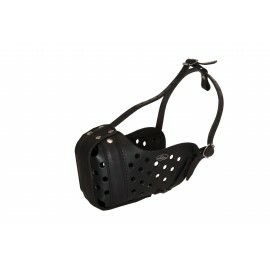 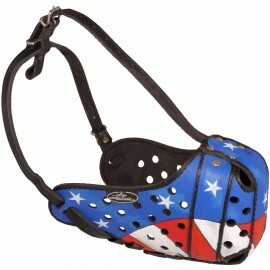 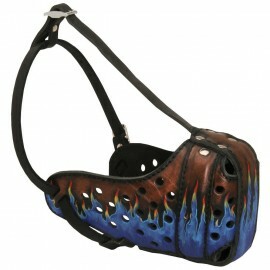 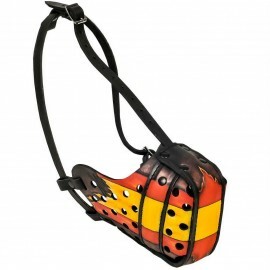 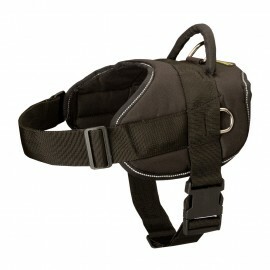 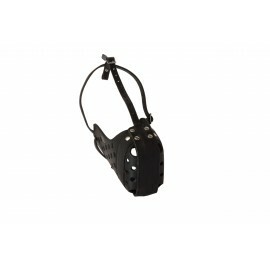 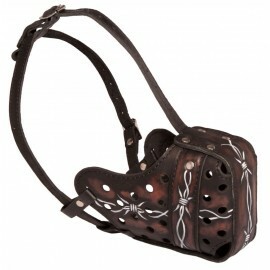 Thought out to the last detail leather dog muzzle for Labrador training, walking and work! 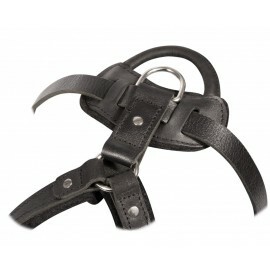 Handcrafted of natural leather. 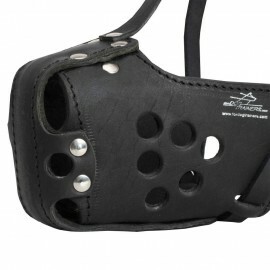 Felt lining inside secures from rubbing. 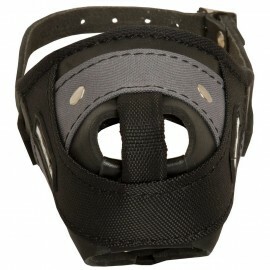 Large holes provide super ventilation. 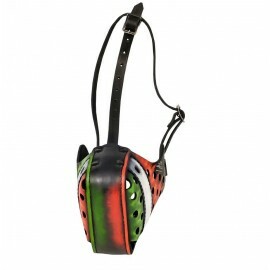 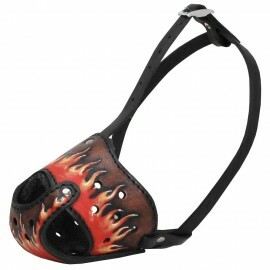 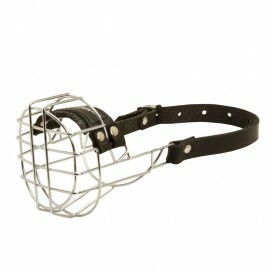 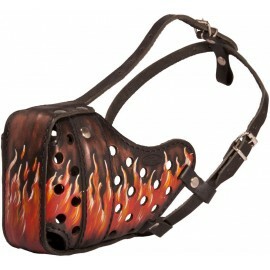 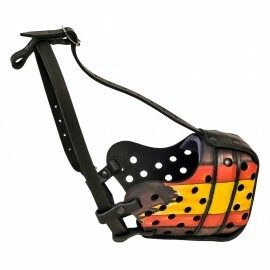 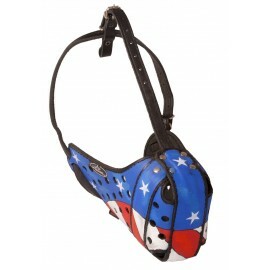 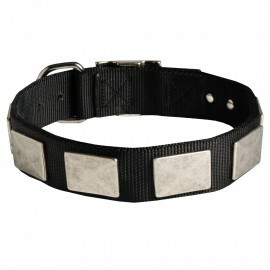 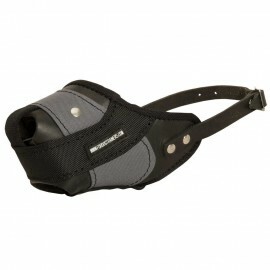 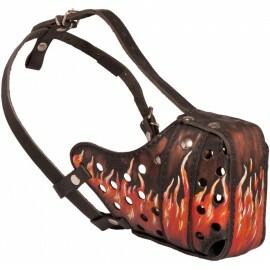 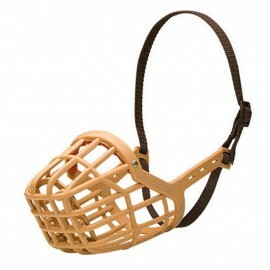 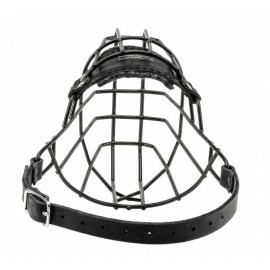 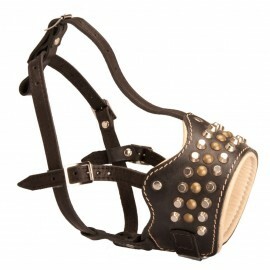 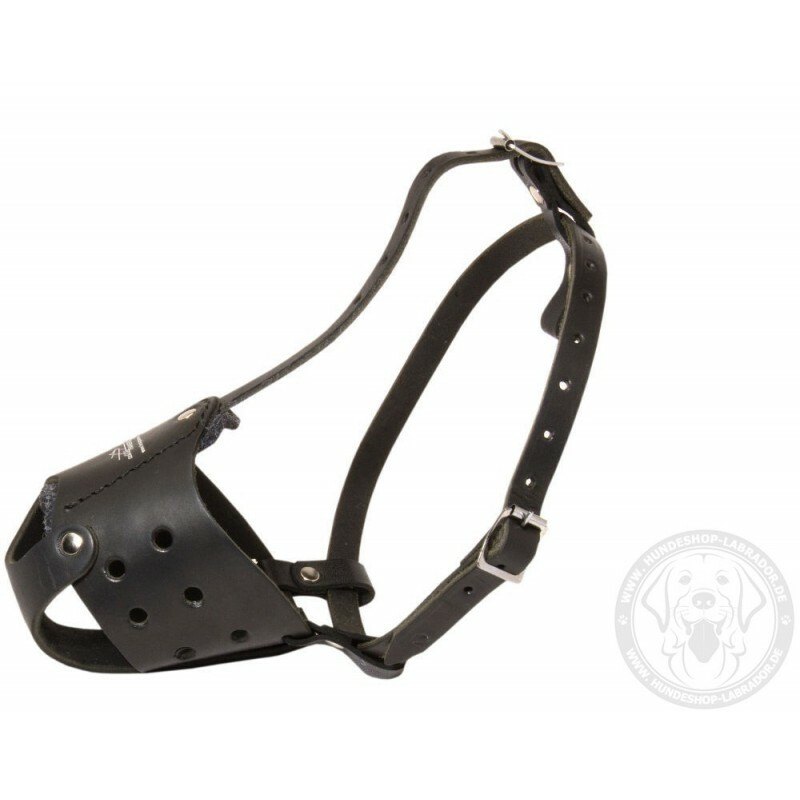 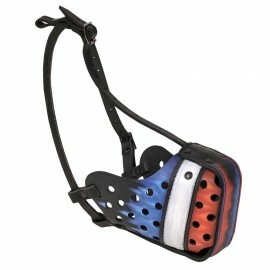 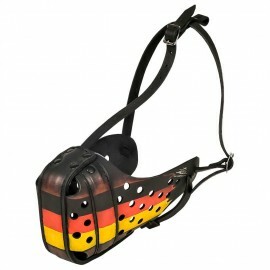 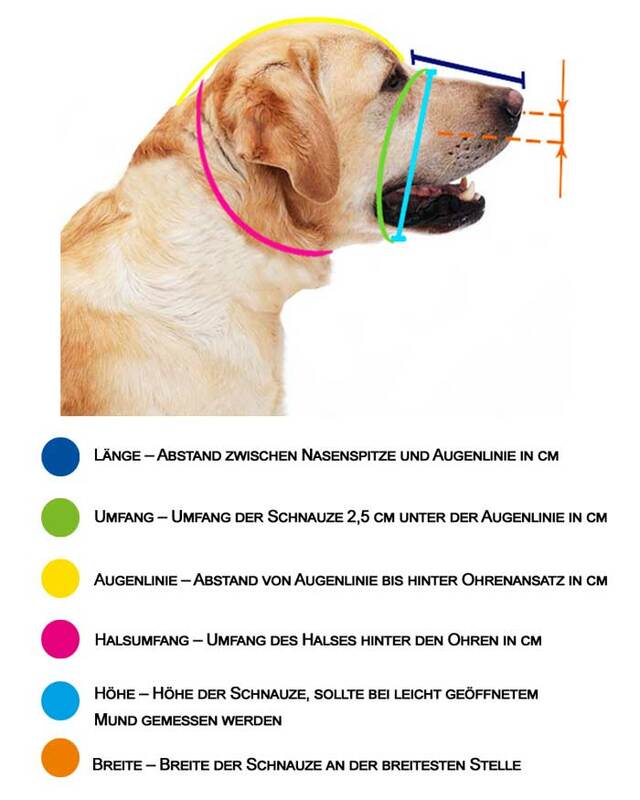 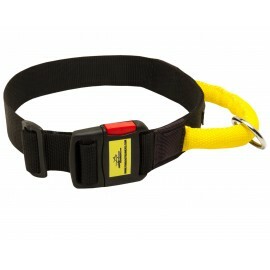 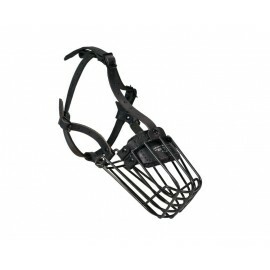 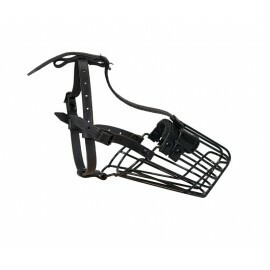 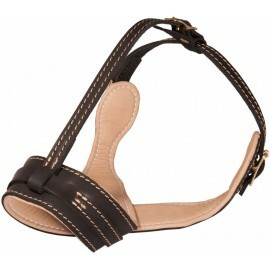 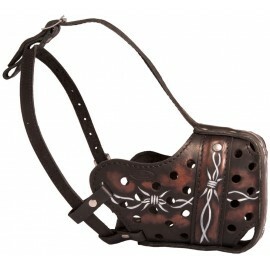 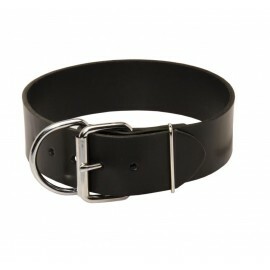 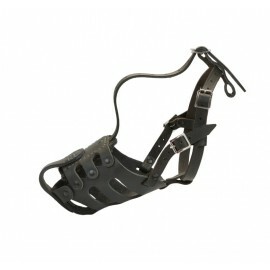 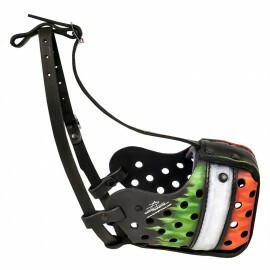 The muzzle is fixed with the help of adjustable leather straps. 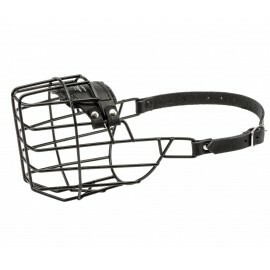 No biting and picking up from the ground.